Collective Voice is led by Oliver Standing. Oliver has worked in the field of drugs and alcohol for nine years, previously being the Director of Policy and Communications for Adfam, the national charity working to improve life for families affected by substance use. The organisation was previously led by Paul Hayes, who was CEO of the National Treatment Agency for Substance Use from 2001 to 2013. Oliver is supported by Rob Stebbings. Rob has a background in third sector policy and communication roles and is currently working at Adfam whilst providing part-time project and communications support for Collective Voice. 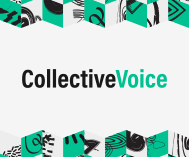 Collective Voice is membership body with seven members: Change Grow Live, Changing Lives, Cranstoun, EDP Drug & Alcohol Services, Humankind, Phoenix Futures and Turning Point. It is overseen by a Board made up of Chief Executives and Directors from its member organisations. The Chair of Collective Voice is Paul Townsley, CEO of Humankind and the Vice Chair is Lucie Hartley, CEO of EDP Drug and Alcohol Services. In 2019 we will continue to work with the NHS Substance Misuse Providers Alliance and develop ways to work more with smaller third sector treatment provider as well as experts by experience. We regularly build partnerships and alliances with partners in other relevant sectors including mental health, criminal justice, and housing to identify issues of shared concern.